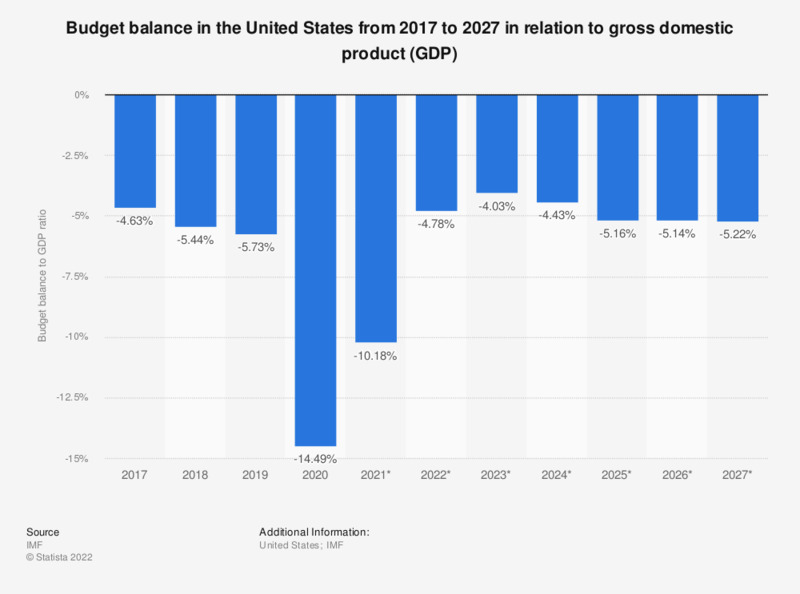 The statistic shows the budget balance in the United States from 2012 to 2017 in relation to the gross domestic product (GDP), with projections up until 2022. In 2017, the budget deficit of the United States was at around 3.85 percent of the gross domestic product. See the U.S. GDP growth rate here. Everything On "United States" in One Document: Edited and Divided into Handy Chapters. Including Detailed References. Which attributes do you associate with products made in the United States?